Otherwise known as hellebore. Even after enduring this last winter’s extreme weeks of constant freezing ice cover, they survived unscathed and bloomed two weeks ago. Unfortunately, my computer upgrades have kept me from photoshopping these images until now. 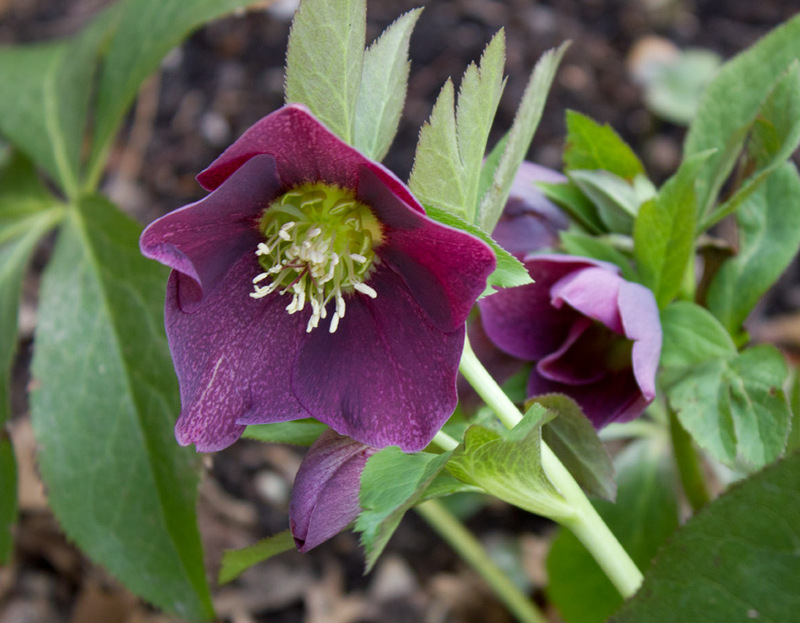 Lenten roses are the first to flower in my garden, alerting me that Lent and spring are just around the corner. During the summer, they are usually hidden from view by the surrounding foliage. 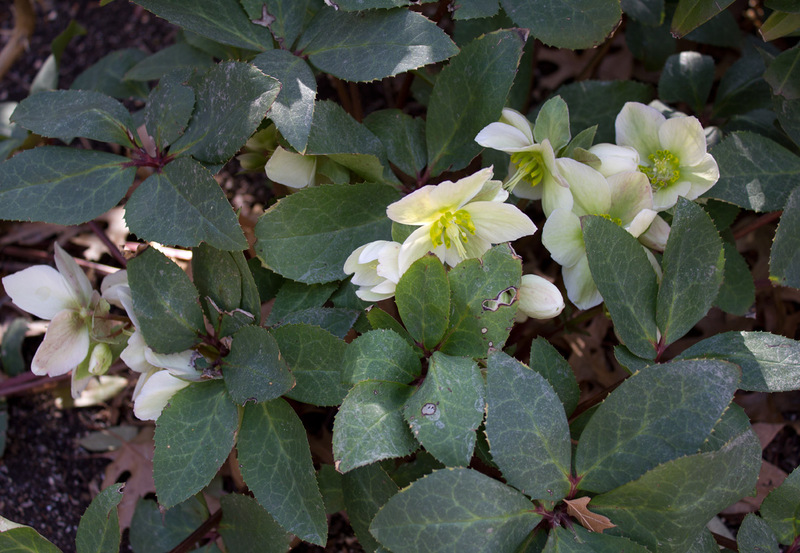 But once these deciduous neighbors shed their leaves, the hellebore is ready to perform, providing a bleak winter garden with color. 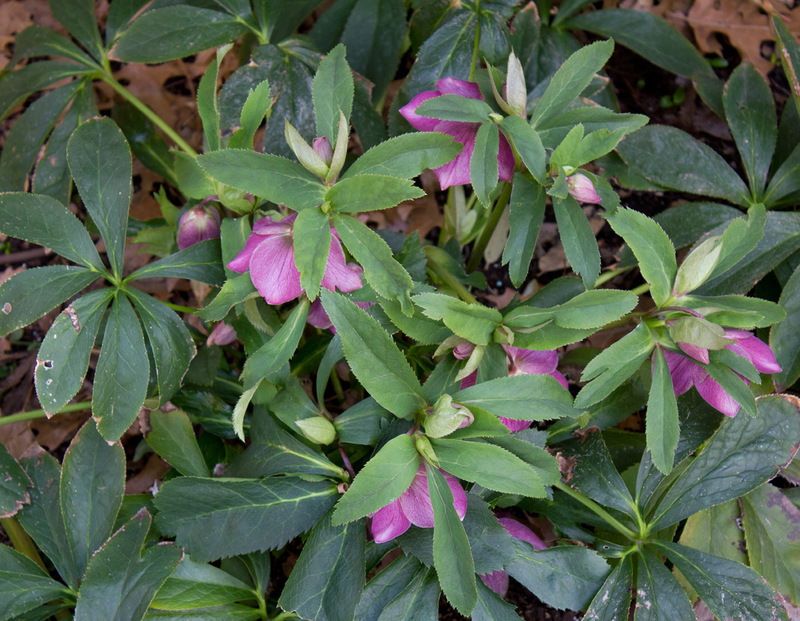 (above) There are three different colors of Lenten roses in my shade garden. This is the red version. (above) This is the white version. But as the flower ages, it evolves into a pale green color.